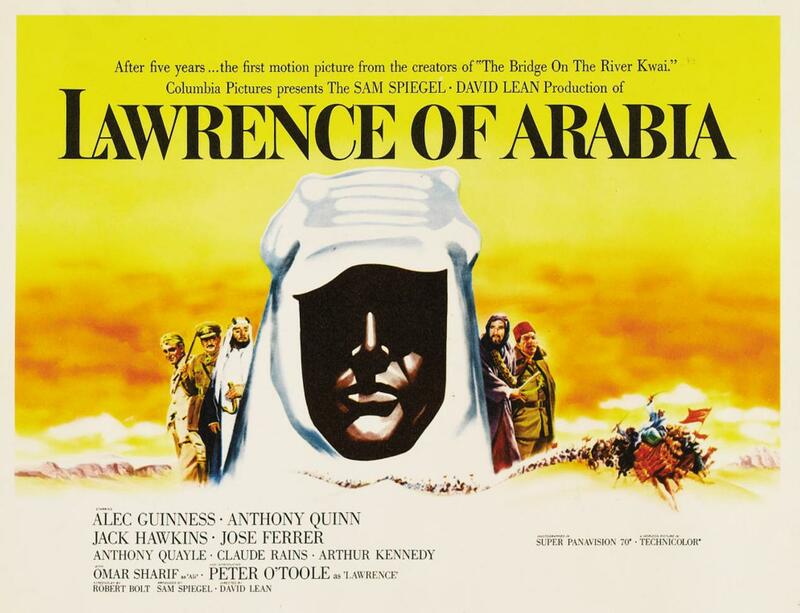 I had the most remarkable movie-going experience the other night when I saw David Lean’s Lawrence of Arabia for the first time. It wasn’t something I had purposefully put off watching over the years; in fact the film was one that my dad had mentioned as being special and very powerful. But I’ll admit that many of the 1960s epics are still missing from my personal “have seen” list. I have difficulty setting aside the time needed to take in a four hour movie. But when the opportunity came to watch Lawrence at a theater, in 70mm, that’s an opportunity you don’t pass up. I’ll admit that I still had doubts. Movies that come with labels like, “one of the greatest,” can sometimes have a difficult time living up to the hype. I knew I was going into a nearly four hour-long movie, would I notice the time going by somewhere during the course of it? The answer was an emphatic no. From the opening strains of Maurice Jarre’s beautiful score until the end of the film, I was entranced. Lawrence of Arabia tells the story of British officer T.E. Lawrence and his exploits in Arabia during WWI. In short, Lawrence is assigned to the desert to try and unite the Arab tribes in an effort to overthrow the Turkish forces present in Arabia. However, Lawrence becomes conflicted between his duty and his allegiance to the Arab people once he realizes that Britain and France both have eyes on the Ottoman Empire. The thing that really struck me about this movie is the fact that Lawrence is not presented as a flawless hero figure. He’s a complicated, egotistical man, who in many ways believes that it is his leadership and invincibility which will allow him to deliver Arabia back to its people. There’s an ambiguity to where his loyalty really lies, and perhaps the answer is that really it’s to himself. In 70mm, you see everything, and that’s really the way this film was meant to be seen. Freddie Young’s gorgeous cinematography was on display, capturing the beauty and harshness of the desert in all of its glory. Author and historian Jeremy Arnold, who wrote the Lawrence of Arabia: The 50th Anniversary book that was released with the Blu Ray last year, introduced the film and mentioned so many of the cast and crew choices that came about almost by chance. 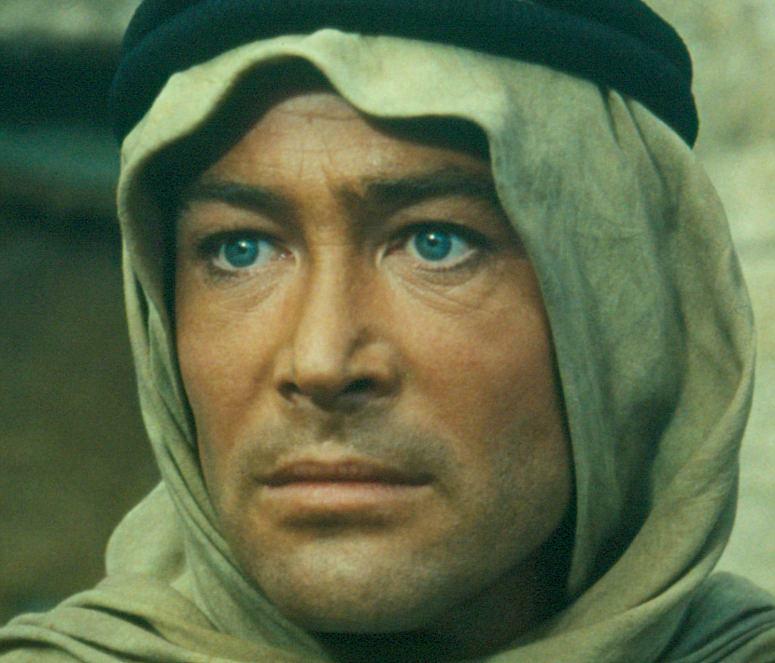 Peter O’Toole was the third choice to play Lawrence, behind Albert Finney and Marlon Brando (I’m still trying to imagine Brando in that role). Arthur Kennedy was a last-minute replacement for an ill Edmond O’Brien as journalist Jackson Bentley. Composer Maurice Jarre was also the third choice, and by the time the assignment came to him, he had six weeks to compose, orchestrate and record the score for the film. A winner of 7 Academy Awards for 1962, Lawrence of Arabia took home top honors for Best Picture, Director, Score, Cinematography, Art Direction, Editing and Sound. Notably, Peter O’Toole was nominated for Best Actor for his remarkable performance, but lost to Gregory Peck in To Kill a Mockingbird. O’Toole would never win a competitive Oscar, but was awarded an honorary Lifetime Achievement award in 2003. Seeing Lawrence of Arabia in a packed theater, on 70mm for my first viewing made it an experience I’ll never forget. Which brings me to the second part of this post. I’ve often hemmed and hawed about the benefits of social media, at least when it comes to movie watching. When I’m at home watching something, I feel an almost irresistible pull to log onto twitter and tweet the film, or to pull up my computer and do research on it while I’m watching the movie. Then I usually have to pause or rewind it because I start missing dialogue or things I need to see. Would I have been so engaged with Lawrence had I watched it at home on blu ray? Probably not. I would’ve been looking up things like crazy, and the four hour running time probably would’ve turned into much more than that. Yet on the other hand, I love that social media allows us to connect with people all over the world instantly, so we can all share the experience of watching a movie together. I have also become really attached to seeing other people’s trivia tidbits and commentary, both serious and humorous, while watching movies. It becomes almost a part of the experience. I don’t think there’s a right or wrong answer, I just think it’s an interesting predicament. I have decided that if it’s a movie I’m seeing for the first time, I will try to give it my full attention and ignore the internet. Theatrical movie-watching reminds me of the experience of full immersion into the cinematic world that I sometimes forget when I’m at home. But on the other hand, being connected to other like-minded lovers of film, especially classic film, is a treat as well while watching a movie. I’d be curious to hear what you all think. Do you find yourself as easily distracted as I am with the temptation of social media and the internet while watching movies? What are your movie watching habits? This entry was posted in 1960s, Actors, Directors, Drama and tagged Academy Awards, David Lean, epic, Lawrence of Arabia, Peter O'Toole. Bookmark the permalink. I’m so happy that you finally were able to see this classic- and in 70mm no less! It is such a powerful film and when it can be seen in a theater, the overall production moves from just watching a movie, to having an experience. Hi Paul! Yes, I totally agree with you, it was quite the experience. I’m sure it will be a movie moment that stays with me for a while. Thanks so much for reading, and your comment! I’m not a fan of “Lawrence of Arabia” but, after reading your post, I would give it a try on the big screen. I do wonder if I would’ve enjoyed it as much had I seen it first on the small screen, although I did enjoy the film quite a bit. The Blu Ray restoration is gorgeous as well if you have a chance to see it that way. Thanks for reading!